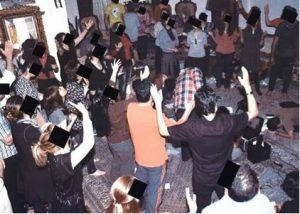 Project Overview: This underground network of house churches in Iran consists of more than 4,000 believers in over than 90 cities. Key leaders need funds for gas to travel between these churches to minister and evangelize, cell phones to communicate, and extra resources to reach out to the needy and the drug addicts. According to Operation World, the country with the fastest growing Christian population in the world is Iran. The majority of those believers have come to Christ through the agency of Christian satellite TV broadcasts, social media, dreams and visions, Scripture distribution and personal, one-on-one witnessing. Most of these underground believers live in the major cities, like Tehran, which has a population of 9 million and more than 16 million in the greater metropolitan area, in thin-walled apartment complexes. 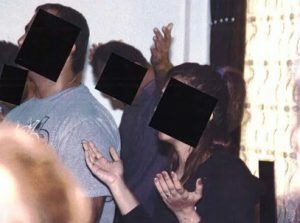 When house churches of secret believers gather together, they must do so quietly for fear of having the neighbors hear them singing, or speaking about Jesus or the Bible, and turn them in to the secret police. In the West, we give no thought to the freedom we have of being able to sing and worship the Lord together and out loud. But believers in Iran have no such luxury. For them, they often huddle together around a cell phone where they listen to worship music turned way down low so that it is barely audible, and then lip sync in worship silently together. Once or twice a year some of them are fortunate enough to get outside the country to remote location for conferences where they can interact more freely and give full-hearted, full-throated expressions of worship and song to their Lord. But in their daily lives and practice of the church, this is so. The religious-political theocracy of the country knows they are loosing the battle to Christianity. They cannot stop its growth. But persecution, arrests, and sometimes torturous interrogations continue to take place. One source from inside the country recently informed us that with the billions of dollars released to Iran in the nuclear arms deal with the United States, that a portion of those funds are being used to hire 7,000 additional secret police in Tehran alone just to spy on enemies of the state (including Christians)! In the West we sometimes see videos clips show by media outlets of demonstrators in Iran, including heavily covered women, chanting “Death to America.” These are government-organized demonstrations solely for PR purposes. The reality is that the young people in Iran have, for the most part, totally rejected Islam. It is not uncommon for women to be dressed in Western clothing, giving only token adherences to officially required Muslim woman’s attire. The repression of Islam has raked havoc on the society. People want freedom, and are turning everywhere but to Islam in order to try to find satisfaction and answers to life’s questions. In Iran, 70% of the country is under 35. The highest addition rate in the world. One of the highest divorce rates in the Middle East. Among the highest unemployment rates in the Middle East. One of the highest suicide rates in the Middle East. One of the highest numbers of prostitutes because of temporary marriages, which are legal in Shia Islam. The highest number of executions per year—even more than China! The mosques are relatively empty. The call to prayer five-times a day that is so prominent in other Muslim countries and cities, is barely heard or given notice. This is the true state of Iran and reason why Iranians are among the most open people to in the world to the gospel of Christ. With a total population hovering around 80 million, there is no way of telling how many true believers there are in Iran. Very conservative estimates put the number of believers at 300,000 or more. Other estimates make peg the number more to be in the 600,000 to one million range. Others indicate the number to be far higher—probably more like two million believers, when taking into account all the people now watching Christian programing from one of the four prominent Christian satellite TV channels that the government can’t block. 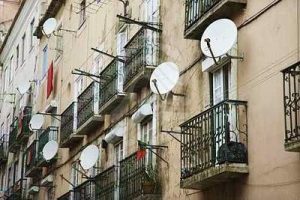 Despite a ban on satellite television, dishes continue to speckle the rooftops of apartment buildings throughout Iran. According to Iran Alive Ministries, more than 55 million Iranians have access to satellite TV. In a recent news article dated July 24, 2016 released by Al Jazeera, it was reported “Iranian authorities have destroyed 100,000 satellite dishes and receivers as part of a widespread crackdown against illegal devices they say “deviate morality and culture”.” Despite their efforts, however, the gospel continues to be accessible for those who are seeking the truth. 27,600 Muslims across seven people groups were presented with God’s Word—an average of 2,300 each month! 140 people yielded to Christ and are now experiencing the peace and joy of His salvation. 20 new underground churches were launched, making a total of 420. 25 new house-church leaders were selected and trained, bringing the total of active leaders to 338. Some 150 homeless people and drug addicts were offered shelter, food, and hope in Christ at a camp facility made available by a former Muslim, now a committed Christian. “I was born in an ordinary family and when I was young I was married by force of my family. My husband was an addicted. He beat me very often so I got divorced after many years. In my family, getting divorce was a taboo. So after my divorce, my four zealous brothers made me prisoner at home. I had many restrictions and couldn’t go out of my home. Little by little I talked with them into permitting me to go to work, and finally they let me go. At my work I met a lady who was very kind and told me about God who had changed all her life. I have had a sense of condemnation for years. My family always told me if I was good, my husband wouldn’t get addicted to drugs. After I believed in Jesus Christ this feeling of condemnation was taken away and I received the love of God more than ever.